Next to multivitamins, energy drinks are the most consumed dietary supplement among American teens and young adults. Many of the people in this category do not like coffee but still want that energy boost from the caffeine. This causes them to turn to energy drinks and other caffeinated soft drinks. While this may seem like a good alternative, these drinks are loaded with sugar, artificial flavors, colors and harmful preservatives. While I have covered the dangers of artificial colors in the past, I have not gone over artificial flavors. These synthetic substances may pose an even more serious risk to our health. Just last month, the FDA banned 7 synthetic food flavoring substances from the approved food additives list. According to Laura MacCleery, policy director for the Center for Science in the Public Interest, these flavorings are most often found in baked goods, candy, carbonated drinks and beverages, chewing gum and ice cream. Typically used to simulate natural mint, citrus and cinnamon flavors. These substances, which include benzophenone, ethyl acrylate, eugenyl methyl ether, myrcene, pulegone, and pyridine were found to cause cancer in laboratory animals. The flavors in question were first approved for use in 1964, according to CNN, but the United States Department of Health and Human Services' National Toxicology Program were the ones to test the additives for cancer. Two different species of animals were found to contract cancer from the artificial flavors, the report says. As if the dangers from the artificial flavors weren't enough, many of these same beverages contain harmful preservatives like sodium benzoate, also known as E211. This is a bacteria-destroying agent that many companies like Coco-Cola and Pepsi use to preserve their products. But, do these benefits of product preservation out-weigh the risk this compound could bring to your health? The Asthma and Allergy Foundation of America states that significant numbers of people report allergic reactions to the compound. The American Beverage Association reports another significant problem with the preservative in drinks: Soft drinks using ascorbic acid along with sodium benzoate, when slightly heated, carry the additional risk of the two ingredients combining to form a known cancer-causing compound called benzene. While the drinks containing the sodium benzoate may last a long time, you and your body won't from the damage it can cause! These things are ticking time-bombs in a can! Remember the loads of sugar I mentioned? Yeah, I mean loads. 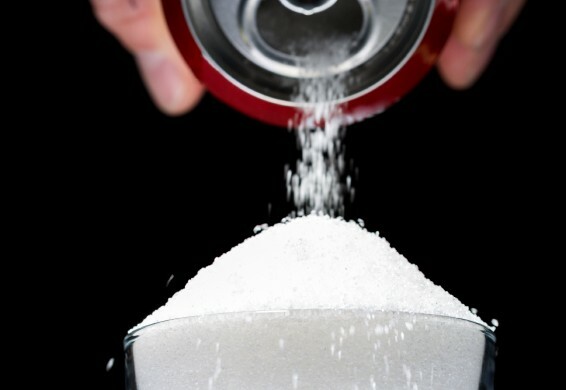 Some energy drinks contain up to 69g of sugar! Most of the time this sugar is coming from high-fructose corn syrup, which substantial links have been demonstrated between increased fructose consumption and obesity, dyslipidemia and insulin resistance. Luckily there is a natural energy alternative! One that comes in three great flavors! Our Organic Pre-Workout is a great all natural, non gmo, chemical free, vegan, certified organic health and fitness supplement that can be used as an energy boost by anyone! That's right, this pre-workout isn't just for athletes, bodybuilders or fitness enthusiasts. It's for the busy mom, the college student staying up to study, or the average joe who just gets tired throughout the day. It's for anyone and everyone looking for an energy boost that doesn't want to risk their health. This is great tasting, all natural energy that is one scoop away! Nothing artificial or synthetic can be found here. Only the power of mother nature through the use of organic superfoods and herbs. Don’t just take my word for it, try it yourself! With a money back guarantee and 15% OFF your order with code: Brando at checkout, you have nothing to lose and plenty of organic energy to gain!